The instructions featured in this article explain how to use the quick time search feature of the iDVR-E surveillance DVR. 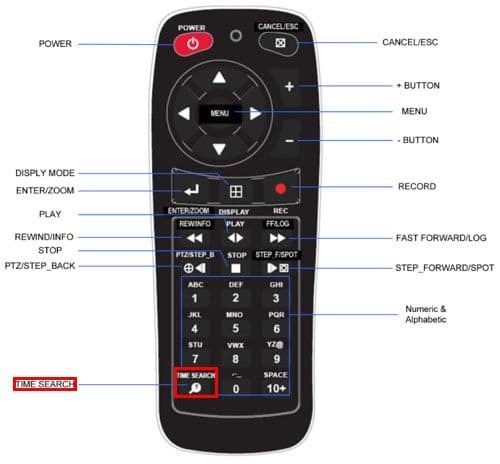 Instead of going through multiple menus to playback recorded video, the user can simply press and hold a single button to access the quick time search menu. Please follow the instructions below to see how this is done. Please follow the instructions below to use the quick time search feature of your iDVR-E.